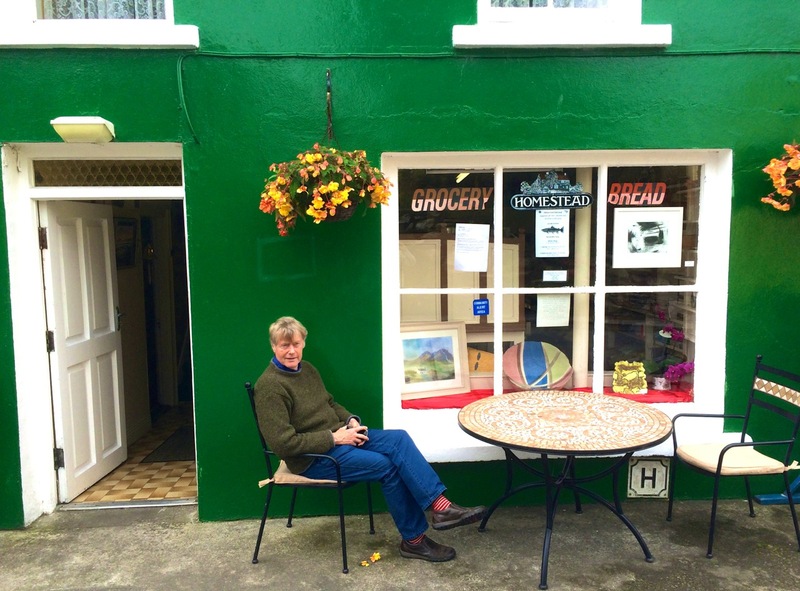 Images of the nativity are a special part of Christmas in Ireland – as witness the proliferation of Christmas cribs in every town and in half the shopfronts. 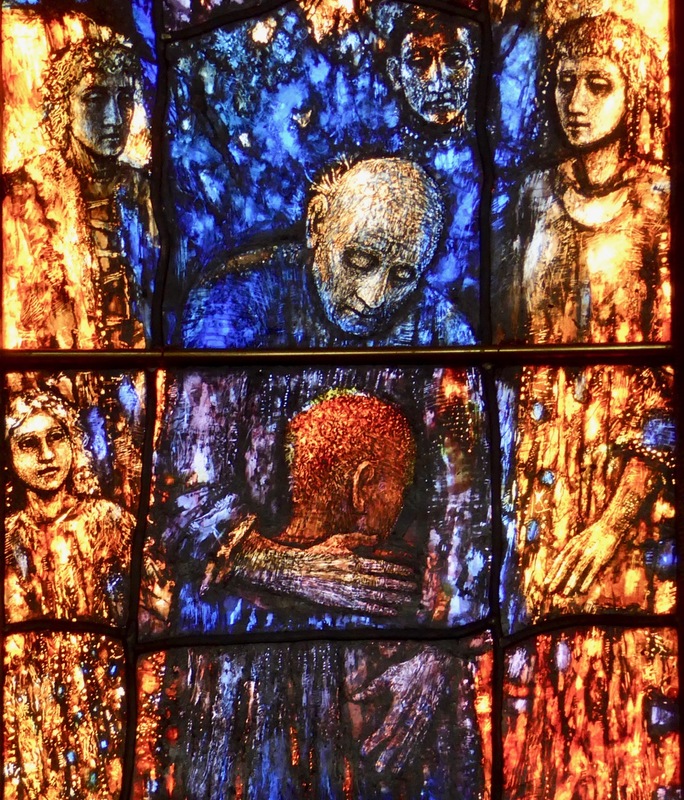 In West Cork (and not too far away in Dingle) we are particularly fortunate to have several examples of nativity images in stained glass by the famous Harry Clarke. 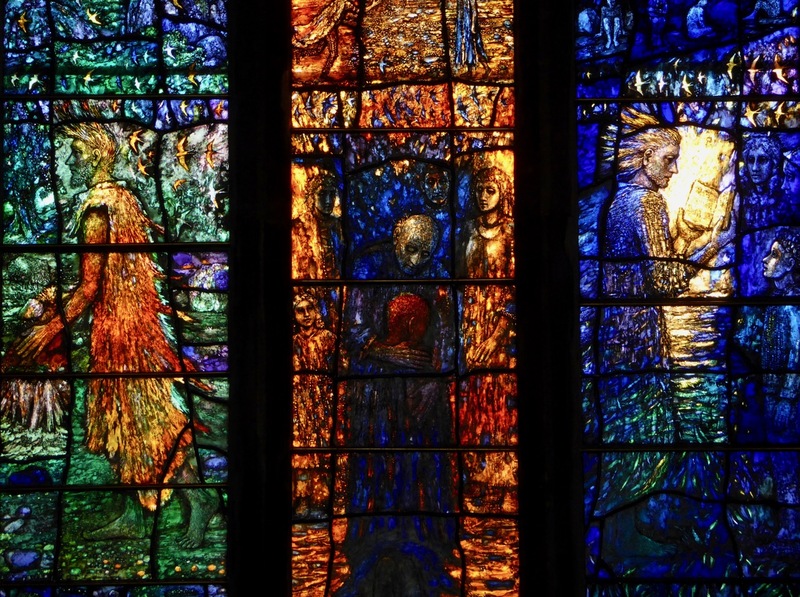 We have mentioned Harry Clarke, Ireland’s most renowned stained glass artist, in several posts before, and no doubt will come back to him again – his gorgeous windows repay multiple visits. 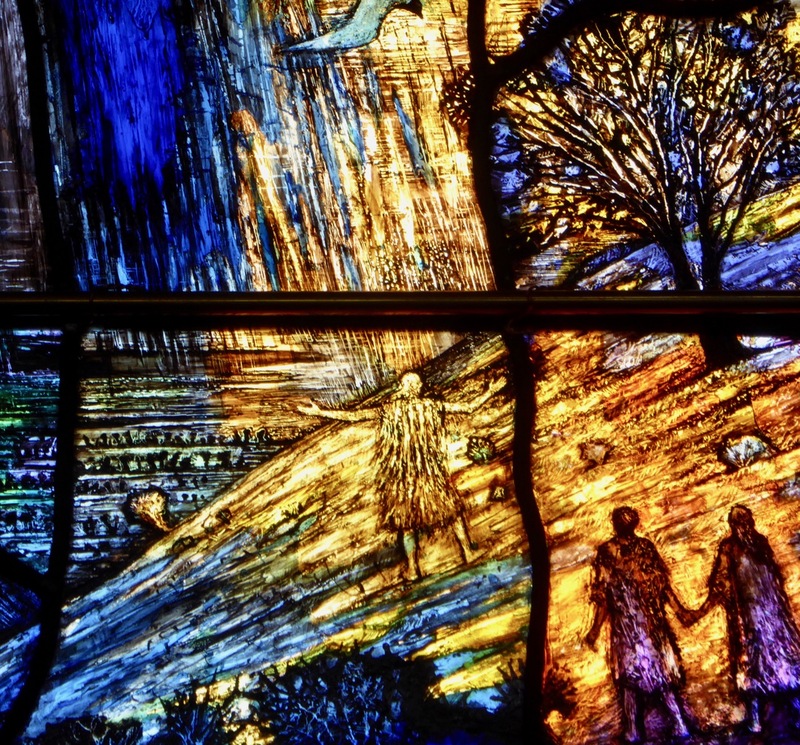 In going through the many photographs I have taken I realised that Harry Clarke, at least in the windows I have visited here in the south west, concentrated on only two representations of the Christmas story – the visit of the Magi, and the flight into Egypt. 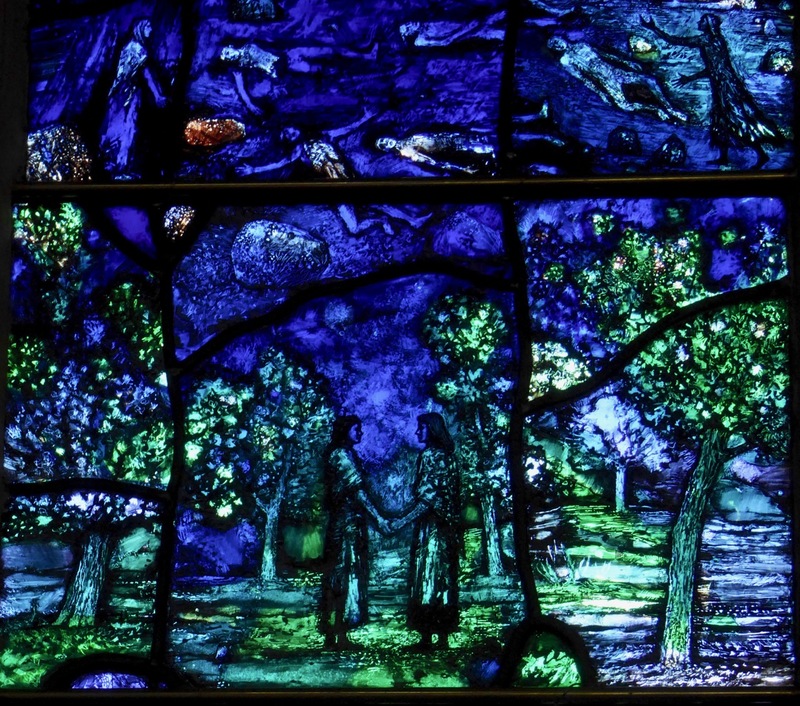 His focus on the the visitation of the Three Kings, traditionally celebrated on January 6th, is poignant, for it was on that day that Harry Clarke died in 1931, after a long battle with tuberculosis. 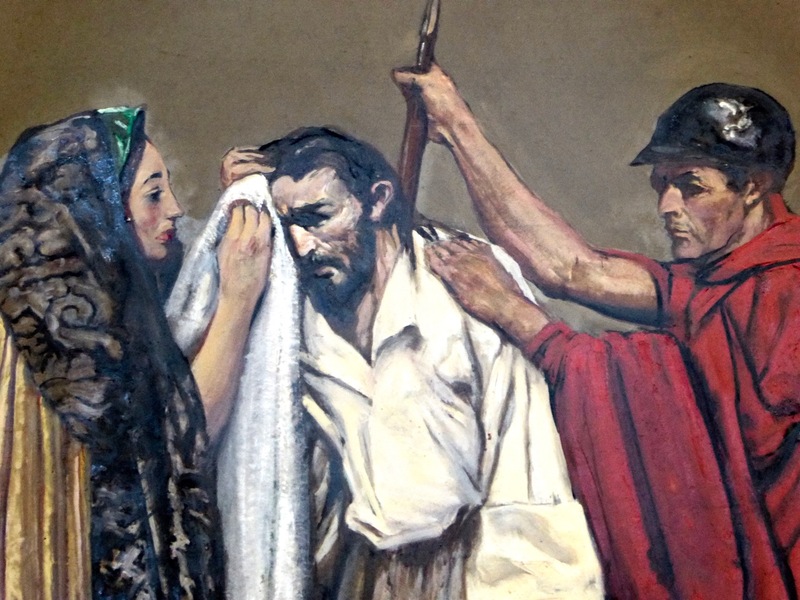 He was, like the Magi, travelling at the time, in a vain attempt to get home from a sanatorium in Switzerland. 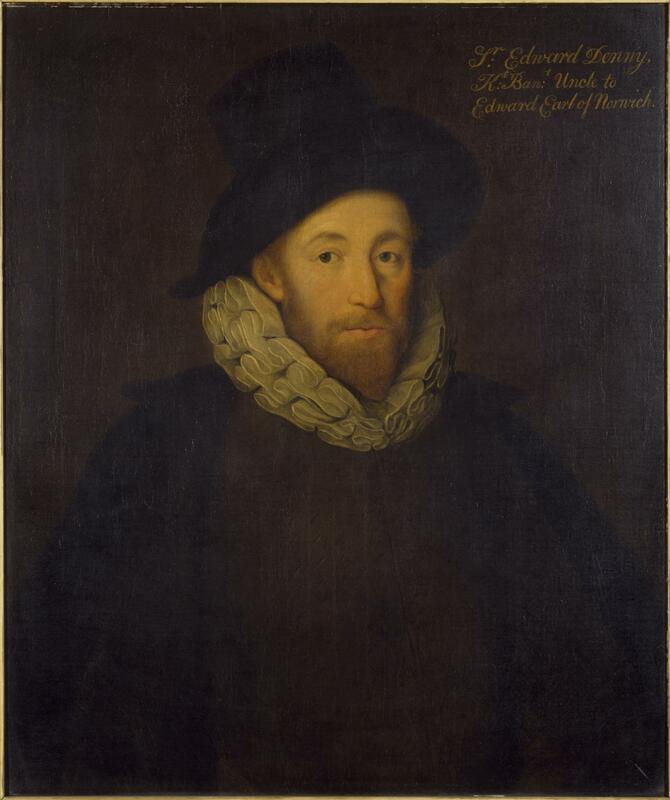 He was only 41. 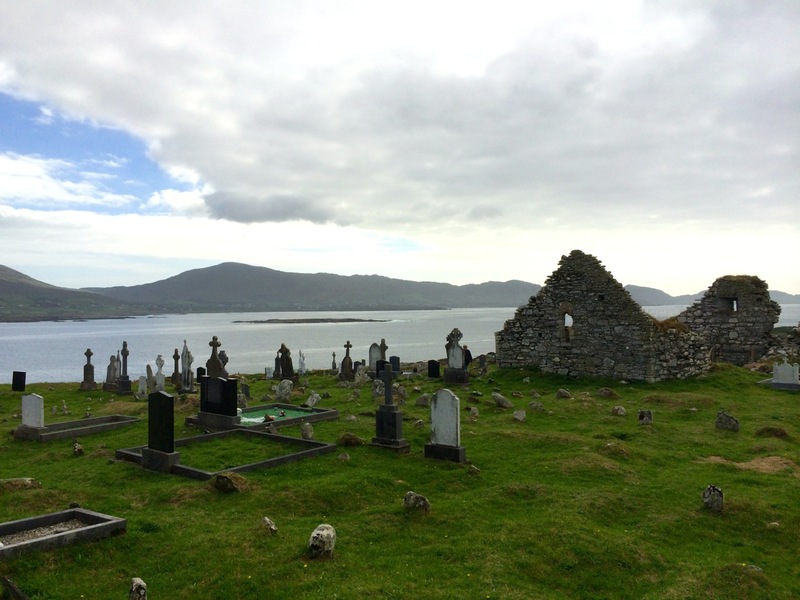 On a recent visit to Dingle we were lucky to find the Díseart Centre of Irish Spirituality and Culture open and to be able to view the magnificent windows in a tiny church previously only open to the nuns of the enclosed Presentation order. 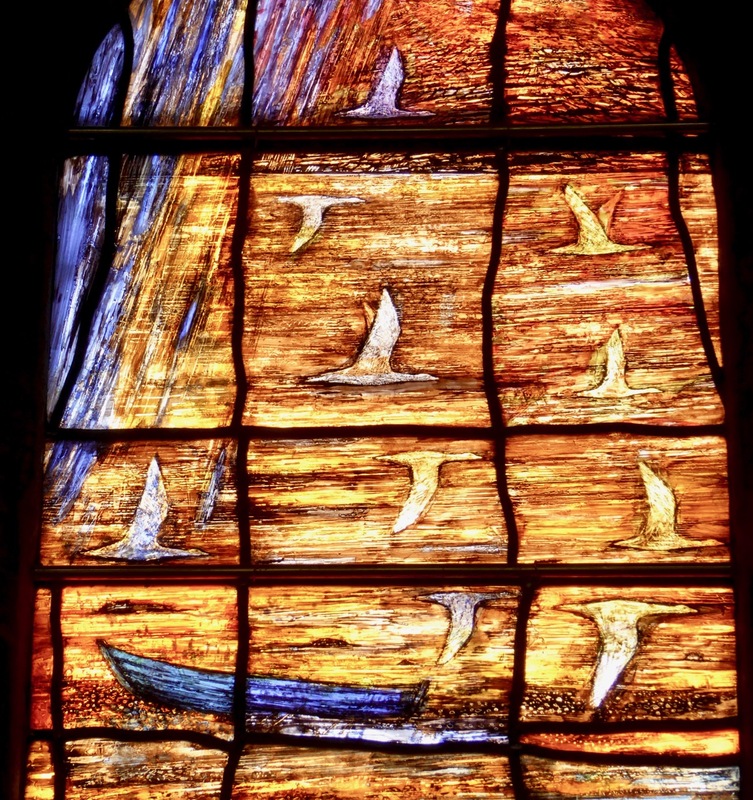 One of the windows was devoted to the nativity – once again, the Magi scene. 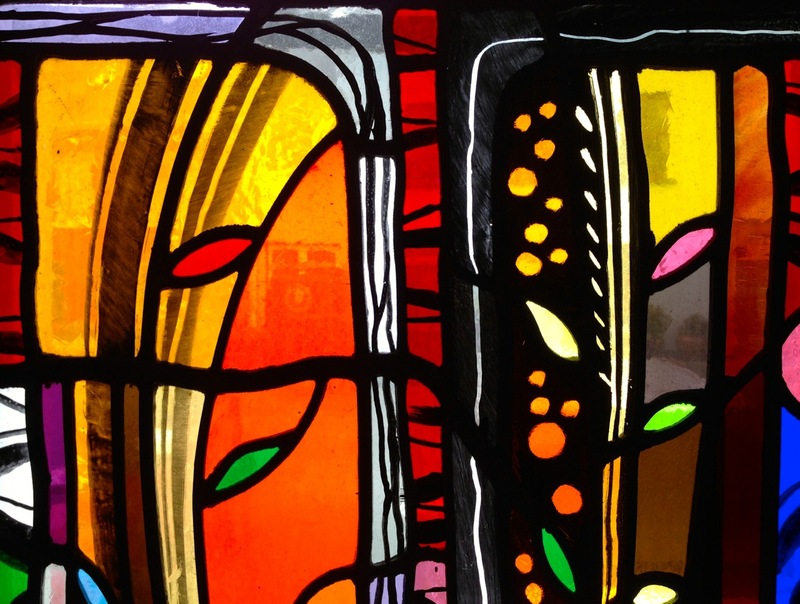 Pride of place in the church must go to the beautiful Harry Clarke windows at the back of the church as you exit. 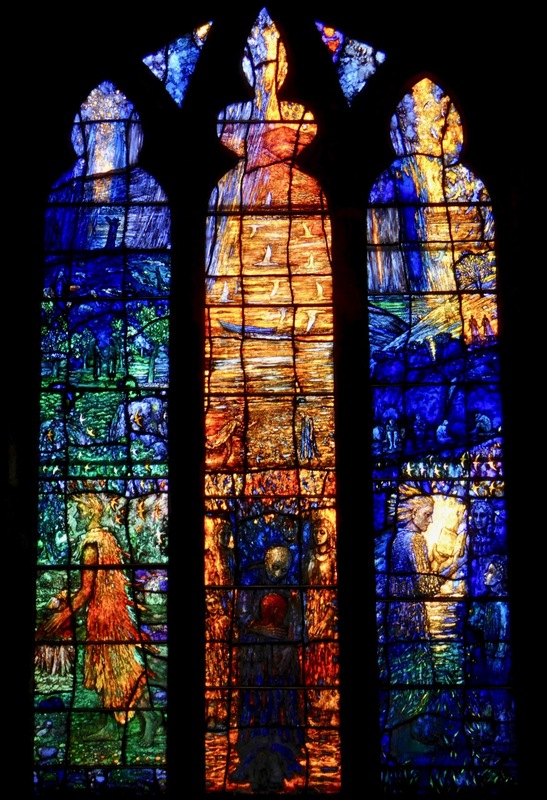 Harry Clarke achieved fame for his unique style, his incredible use of colour, his decorative designs and the beautiful medieval-styled figures that have rarely found an equal in the medium of stained glass. These windows were put in place in 1929/’30 and were among the last to be made by Clarke who died in 1931. 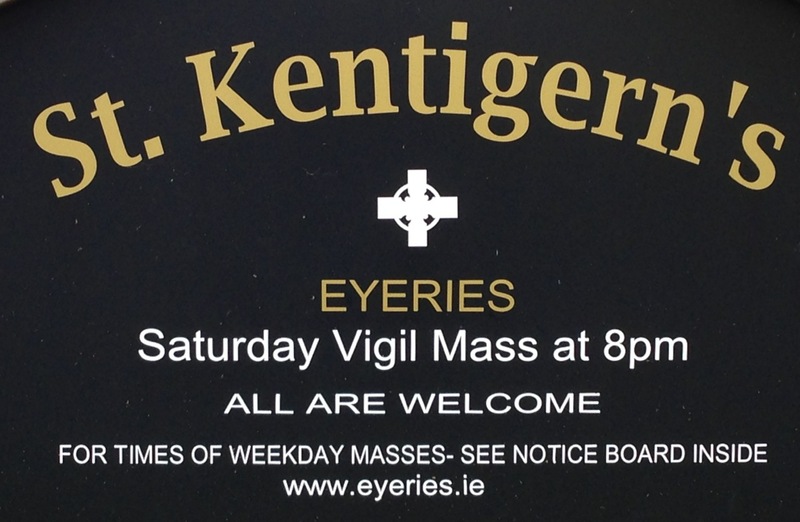 The windows were in memory of Rev Fr Timothy O’Hea PP (1912-1929) by the parishioners and by his successor as parish priest, Rev Fr Jeremiah O’Driscoll (1929-’49). 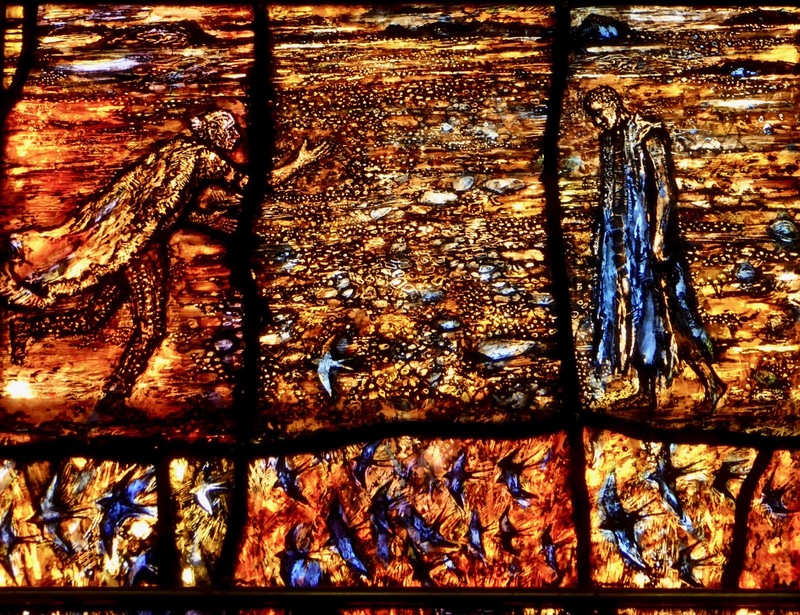 However, these windows are not listed on the authoritative site http://harryclarke.net/, implying that these are Harry Clarke Studio windows. 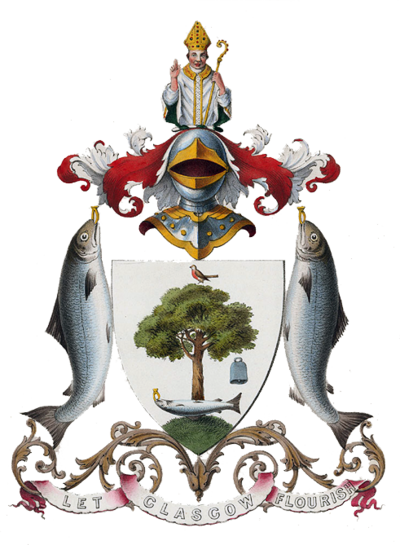 They are certainly in the Clarke style, and very striking. The Kilcoe Church of the Most Holy Rosary has a stained glass rose window over the entrance. A sign states that it was made by Harry Clarke Stained Glass Ltd (the Studios), designed by T Clarke and installed in 1943. It is in the Clarke style, and although beautiful and expertly done, perhaps lacks the level of detail one expects from a window given Harry’s personal attention. One of the small windows of the rose depicts the flight into Egypt. 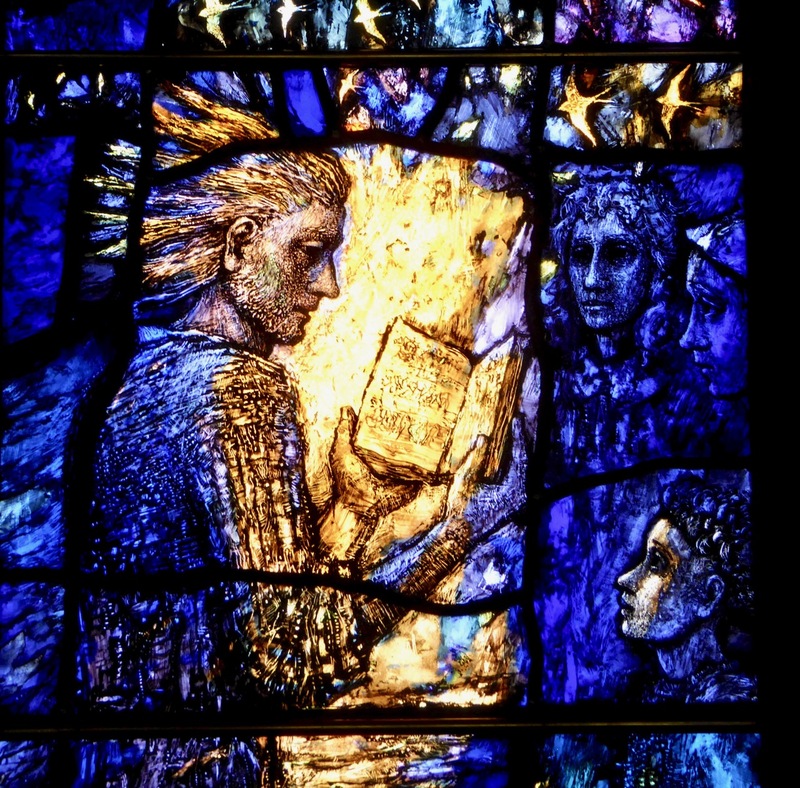 The range of images in the Harry Clarke windows in West Cork is broad and fascinating. We will no doubt write future posts about this luminous body of work.